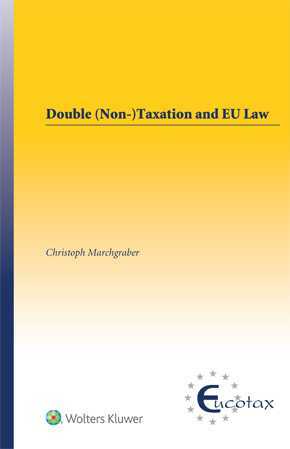 Double (Non-)Taxation and EU Law provides a comprehensive analysis of EU law’s impact on double taxation and double non-taxation. Everywhere new tax rules are under development to engage with the ever-increasing complexity and sophistication of aggressive tax planning and to reverse the tax base erosion it leads to. The most prominent initiative in this context is the Base Erosion and Profit Shifting (BEPS) project of the OECD. Although the European Commission and the OECD’s BEPS project have been a hot topic for some time, and double non-taxation being among the main issues the BEPS project intends to address, there has been little discussion of the effect of EU law on their implementation. This book aims to remedy that omission by addressing this crucial subject and its practical impact. the potential impact of the ECJ’s case law on the EU law compatibility of double non-taxation. The tax jurisprudence of the ECJ is referred to and comprehensively analysed throughout the book. The final chapter provides an outlook on possible developments in the future. Focusing on the fundamental freedoms and the State aid rules of the EU, this book thoroughly explains the nature of double non-taxation from an EU law perspective, its relation to double taxation, and the impact of EU law on these phenomena. Thus, this book serves as a navigator in light of the ongoing implementation of BEPS measures. As a giant step towards greater legal certainty in this challenging area of tax law, this book is a practical handbook for tax authorities, scholars, and tax practitioners across Europe and even beyond.